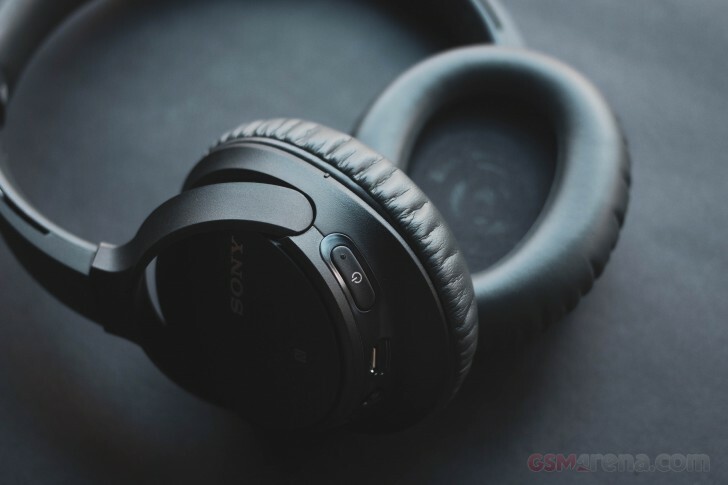 The CH700N is Sony's latest pair of wireless noise-canceling headphones. After the excellent 1000XM3, Sony sought to create a more affordable version that will be accessible to more people, and thus the CH700N was born. The new headphones promise comfortable wireless sound, active noise cancellation, and excellent battery life. Today, I will be taking a look at them and see if they are worth your money. The CH700N have a very standard, unassuming design. It comes in three color variants, although that may vary depending upon your market. The entire headphone is made out of plastic. The ear cups have a matte finish with a glittery, metallic finish to the back to make things a bit more interesting. The headband has a soft touch pleather material, with a bit of shiny, chrome-like garnish on either end. The ear pads are covered in more of the pleather material that's found on the headband. The ear cups are pretty large and accommodating but not too deep and the cushion is also not too dense. Inside, the drivers are covered in a soft mesh fabric on top of a plastic grille. On the bottom of each ear cup are some controls. On the left speaker is the large power button, which can be pressed and held to turn the headphones on/off or turn on pairing mode. It can also be pressed briefly when the headphones are on to hear the current battery level. Next to it is a microUSB port for charging, somewhat out of place now in late 2018, especially since the 1000XM3 already shipped with USB-C this year. Next to that is a jack for connecting the aux cable for wired audio and next to that is the NC switch. The NC switch can be configured to do two things. Despite the NC text on the button, by default, it is actually set to invoke Google Assistant on your Android phone. You have to install the Sony Headphones Connect app if you want it to just switch noise canceling on or off. Also found on the left ear cup is the NFC sensor for quickly pairing your Android devices. On the right ear cup is a toggle for playback. You can slide it up or down to skip backward or forward in your playlist or press it to play/pause or pick up the call. Next to it is a large volume control switch. The buttons are all reasonably easy to use once you get used to their placement. The toggle for playback is a bit easy to slide accidentally and the volume buttons don't keep adjusting the volume when you press and hold them so you have to keep tapping them repeatedly to adjust volume. Apart from that, the controls aren't too bad. The CH700N have a semi-foldable design, which means the ear cups turn 90 degrees to lie flat on your chest. This means they are not the most compact headphones to travel with. Speaking of travel, Sony doesn't do you any favors with these headphones if you like to travel a lot. There is no airplane adapter in the package, nor is there any kind of carrying case or even a pouch of any sort. All you get with these headphones is a short microUSB cable for charging and an audio cable. The cable doesn't have a microphone connector so you can't use the headphones in wired mode for calls, just for audio. Comfort is one of the most important aspects of a headphone, almost as much as the audio quality. The CH700N are a comfortable pair of headphones. The large and spacious ear cups give your ears room to breathe. They don't fit as snugly around your ears as on other noise-canceling headphones and there's less internal pressure when you put them. The cold winter air made it difficult to gauge the usability in summer but these do seem more breathable than most noise-canceling headphones so they shouldn't be as uncomfortable in warm weather. 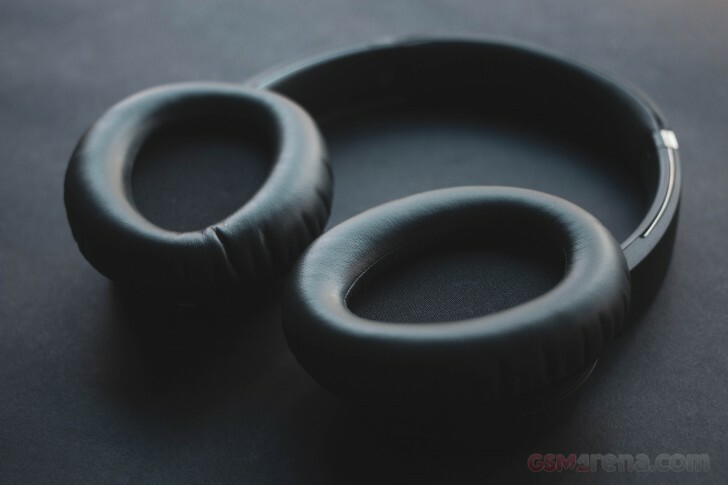 The ear pads, despite not being as opulent on the more expensive 1000XM3, are comfortable enough. However, due to the insufficient thickness of the ear pads, your ears will touch the inside of the speaker grille, or at least mine did. The headband padding is also on the conservative side but again it didn't particularly bother me through the hair. If you are follically challenged, your mileage may vary. The weight of the headphones is also on the lighter side, no doubt helped by the plastic construction. Overall, these are very comfortable and easy to live-with pair of headphones. 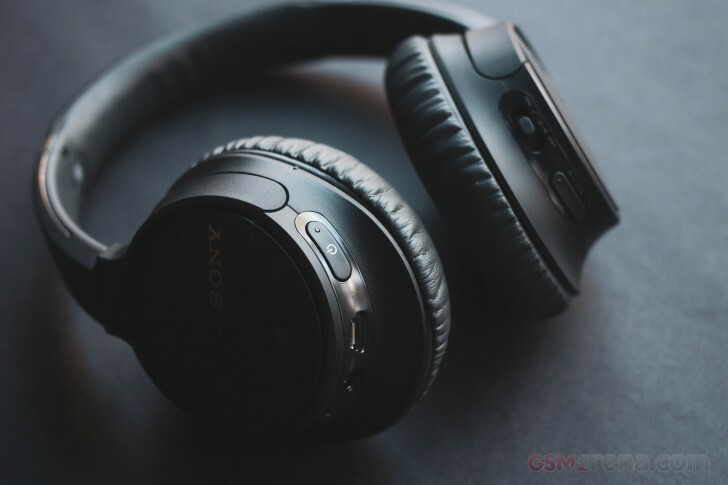 I'm always apprehensive approaching any budget pair of Sony headphones when it comes to audio quality after years of the company pushing the same muddy, bass-heavy sound through most of its mainstream products. Fortunately, that's not the case with the CH700N. 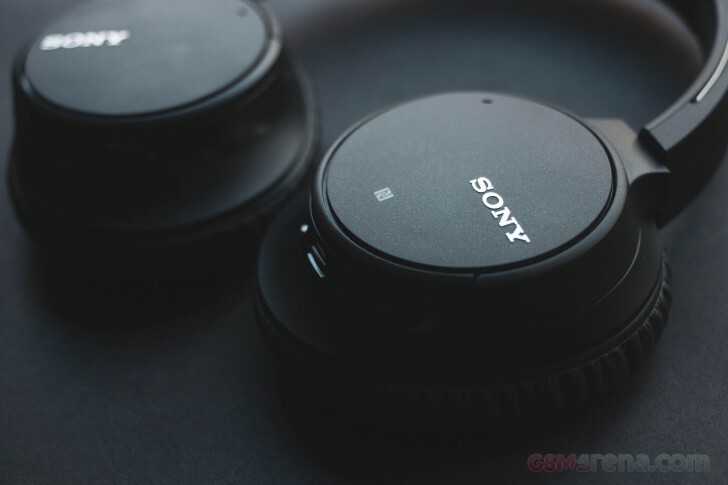 While far from neutral, the CH700N audio quality is one of the most balanced I've heard from a more mainstream pair of Sony headphones and doesn't try too hard to mimic the old Beats sound, which itself has evolved over the years. The CH700N has a very fun sound that works with a lot of genres. The bass is tight and punchy, definitely elevated over reference values but not bloated and overbearing. It also doesn't overwhelm the mid-range, which is free to do its thing. The mid-range is inherently a bit suppressed but not enough to make it harder to hear the vocals and instruments. The highlight of the sound is the high-end. The CH700N has a very lively high-end response, which makes the sound very bright and airy. It is a double-edged sword, however, as the bump in the upper-mid frequency range gives a sharp edge to some vocals and electronic sounds. It is a range our ears are most sensitive to and it makes some genres like dubstep fatiguing to listen to (more fatiguing than usual, that is). The soundstage is nothing special for a pair of closed-back headphones but there's enough stereo separation and imaging to keep you involved. Almost all of my testing was done in wireless mode by connecting to a OnePlus 6T. The CH700N supports SBC, AAC, aptX, and aptX HD codecs. With the 6T, the CH700N can use the aptX HD codec, which is the best the headphones have to offer. Compared to aptX, aptX HD offers a lower noise floor. There is no LDAC support here but considering its finicky nature that's probably not a huge loss. Most of the testing was done using the Tidal app that offers lossless 44.1kHz/16-bit audio on the OnePlus 6T, along with some locally stored 96kHz/24-bit lossless files. I also tested the wired mode with the provided cable. 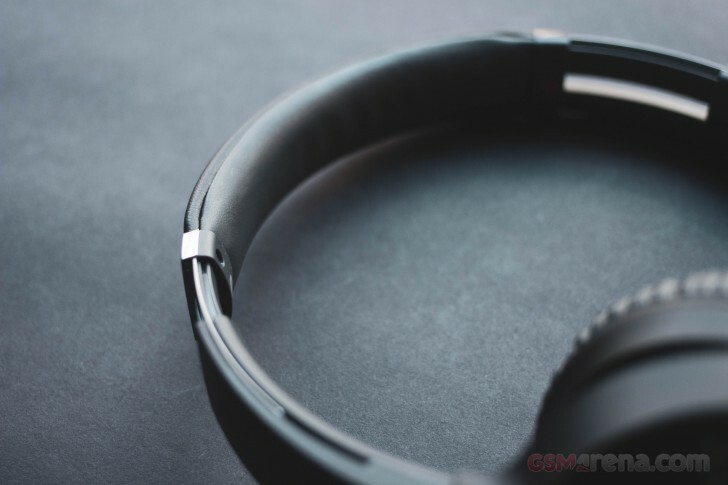 The CH700N lets you keep the headphones on when the cable is plugged in. This means you are using the internal audio processing of the headphones even when you use the cable, not to mention you can also keep using noise canceling. You can, of course, turn them off to save some power but the sound quality is significantly worse with the audio processing off and you also lose out on some of the noise canceling. This mode is great to use on airplanes with the in-plane entertainment system or with sources that don't have Bluetooth output. Unfortunately, and somewhat ironically, plugging in the cable introduces background noise. There is consistent hissing as soon as you plug the cable in. It's only audible when the cable is plugged in and the headphones are on and not present when you turn the headphones off. But as mentioned before, you are better off keeping the headphones on even when using with a cable so the presence of this background noise is rather annoying. It's not very loud and only noticeable in quiet environments. In terms of latency, there is some latency here that is typical for wireless headphones. When switching from wired headphones, you will notice a very minor delay when watching videos on the phone with these headphones but it's very small and if you keep watching your brain adjusts itself after a few seconds to the point where you no longer notice it. I wouldn't recommend these for gaming, however, as the latency can be disorienting in games even if it's minor, and you never fully adjust to it. For music, obviously, there is no issue, whatsoever. 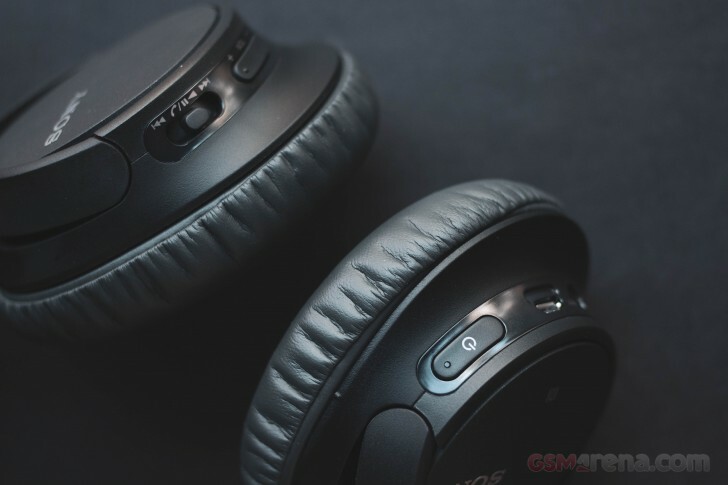 The CH700N features active noise cancellation feature. However, it's really not a strong feature of these headphones. The primary issue is with the design of the ear cups. The ear cups use a relatively wide and shallow design. This makes the headphones comfortable to wear compared to other noise canceling headphones on the market but it makes the active noise canceling feature's job harder. The ear pads are not particularly deep, which means they don't seal your ears very well. There are small gaps left below your ears, which aren't covered well by the shallow and thin padding on the ear cups. It gets worse when you turn or tilt your head, which creates larger gaps that let outside sound in. To top it off, the active noise canceling feature itself isn't particularly effective even under best-case scenarios. You get a fairly basic background noise suppression, which feels somewhat timid and underwhelming, even compared to rivals in this price range. When combined, it creates one of the least effective noise canceling effect I have tested. It's very dependent on your head shape and position, and slight shifts can cause a change in the background noise levels. Of course, any noise cancellation is better than no noise cancellation, and even at its worse, the CH700N are still a lot quieter than a standard pair of headphones and I'd pick these over standard headphones for a plane ride any day. However, considering noise cancellation is the big feature of these headphones, they don't seem to be all that good at them. A small observation here; turning the noise canceling on or off is a somewhat lengthy process. Turning it off incurs a 3.7 seconds pause while turning it back on takes 4.5 seconds. During this time you can't hear your music playing in the background. While it's unlikely you will be switching noise canceling back and forth, in case you do you will have to do a fair bit of waiting. 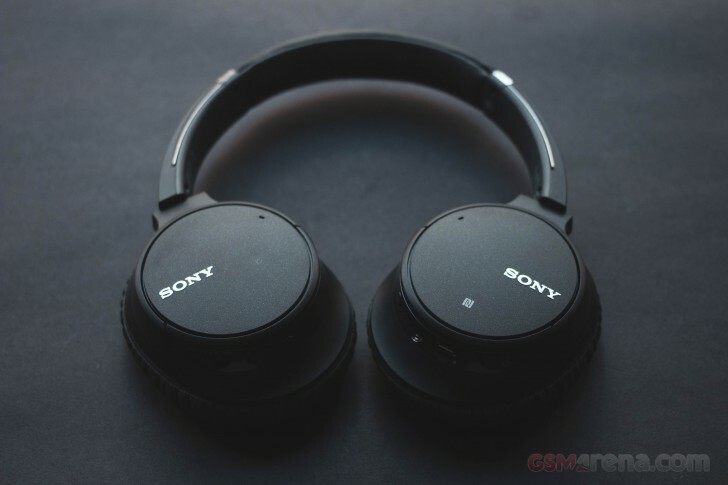 The CH700N work with Sony's Headphone Connect app, available on both, iOS and Android. This app enables additional features for the headphones, such as surround sound effects and equalizer. 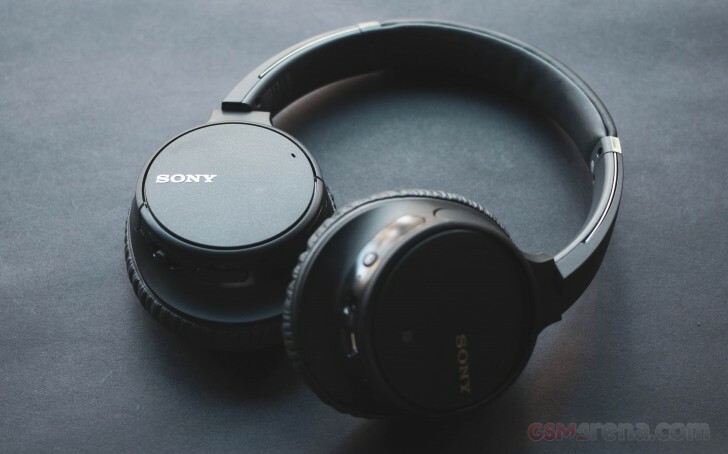 You can also enable or disable the noise canceling feature from here, switch Sony's DSEE feature, which claims to restore lost detail on compressed music and change the functionality of the NC button on the headphones from switching noise canceling to invoking Google Assistant. The app will also show you the battery level and the codec you are using currently, although that information can be found in the Bluetooth settings of most recent Android phones as well. As we noted in the 1000XM3 review, the app lets you change the codec from SBC to whichever is the highest quality codec the headphone supports, which in this case is aptX HD. The moment you do that, you can no longer use the surround sound and equalizer features found within the app. These only work with the SBC codec. I personally never use these features and couldn't care less that they weren't available with aptX HD but if you do then you should know you are losing out a bit on the audio quality front by having to switch to SBC to use them. The app is also responsible for upgrading the firmware on the headphones, although no update was released during my testing. Battery life is always a concern when switching to wireless headphones. You now have yet another device to charge and there is always the anxiety that your headphones might die, especially during long flights. With the CH700N, however, Sony has solved at least one of those issues. The headphones have a claimed battery life of a staggering 35 hours with NC on, and 40 hours with it off. That's more than any other headphone in this price range, or even more than many more expensive headphones. If you are a frequent flier, you can pretty much get through even the longest flights in the world on a single charge. I didn't quite get around to verifying Sony's lofty claims but in the three days I've been using these headphones, the battery went from 70% that it had from the factory to just 50%. This is with about 3-4 hours of use every day. I think it's fair to say that Sony's claim is legitimate but if I ever get the time or muster the patience, I'll properly test the claim and update the article. What's a bit of a downer on the battery life is the charging time. While a ten-minute charge is supposed to give you 60 minutes of battery life, a full 0-100% charge takes a massive 7 hours. So while you won't be charging these headphones often, when the time comes to charge, it's best to plan ahead and charge them overnight because they are certainly not going top up in a hurry. Another downer is the microUSB connector. Few things now invoke a feeling of frustration and disappointment than seeing a microUSB connector on anything in 2018. Your phone, laptop, and charger could all be charging from the same USB-C cable today but just for these headphones, you will have to carry a separate microUSB cable around. The closest competition to the CH700N is the Sennheiser HD 4.50 BTNC. The HD 4.50 is an excellent pair of headphones in its own right, with a snug, comfortable design, good audio quality, and decent noise cancellation. The design is a bit snugger than the Sony but this results in better noise canceling performance. The sound is a bit more mellow and neutral than the Sony but sounds great nonetheless. The battery life at 19 hours with NC on is decent but nowhere even close to what the CH700N offers. The Sennheiser does have a foldable design and even comes with a carrying case, which the Sony lacks. It's a bit of a give and take between these two headphones and it all comes down to personal preferences and price, which is often lower on the Sennheiser due to discounts. The Sony WH-CH700N is an excellent pair of all-round headphones. The design is comfortable, the sound quality is satisfying and versatile, and the battery life is industry-leading. There are some downsides, however. The noise canceling performance is mediocre at best, the in-box accessories are surprisingly sparse for what isn't exactly a cheap pair of headphones, the charge times are long, and seeing a microUSB in 2018 is like getting a friend request from someone on Facebook that you thought you got rid of back in high school. Still, seen purely as a pair of wireless stereo headphones, the CH700N are deeply impressive, mostly because they tackle the two issues people complain most about Bluetooth headphones — those being poor audio quality and short battery life — and do it with aplomb.